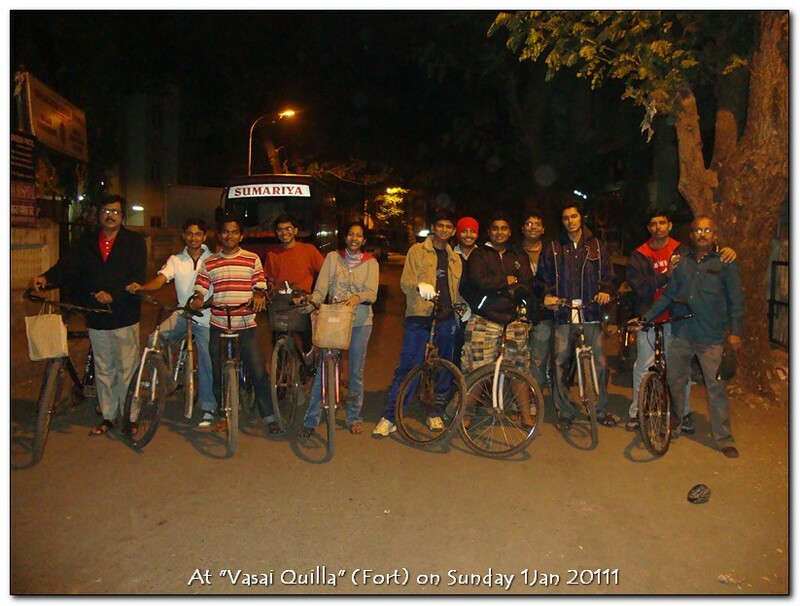 On Sunday 1st January 2011, went on an outing on Cycle along with few Yuva Vibhag members to Vasai Fort, evryone gathered at the Mandir entrance at 6:30 AM and proceeded on cycle towards Vasai Gaon and there onwards to Vasai Quilla and played a game of cricket with whatever resources available. It was an unique experience as people from all age groups were present. The team leader was Sri Shrish S Acharya, an active member of our Balaji Seva Samiti & is popular amoung our Yuva Vibhag. Apeksha Bhakta captured the moments while we were playing.